Eneclann > News > Eneclann Winter Sale Continues! Dont forget our Big Winter SALE is on right now! This publication is a reproduction of the successful series The Irish Ancestor, which was published from 1969 to 1986. 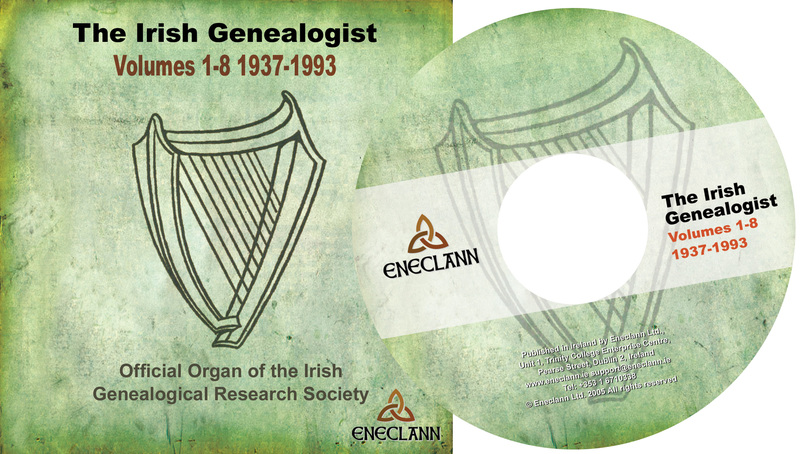 The Official Organ of the Irish Genealogical Research Society was first published in April 1937. This publication covers from that very first issue up to Volume 8 in 1993. Thom’s Irish Almanac & Official Directory for 1884. This is a very big publication containing nearly 2,000 pages, with a vast amount of information about Ireland, the government in general, and Dublin city and county in particular. The closing decades of the eighteenth century witnessed considerable improvements in the quality of the communications infrastructure in Ireland, and consequent increases in economic activity and trade. This superb book includes a full commercial directory for the entire country. 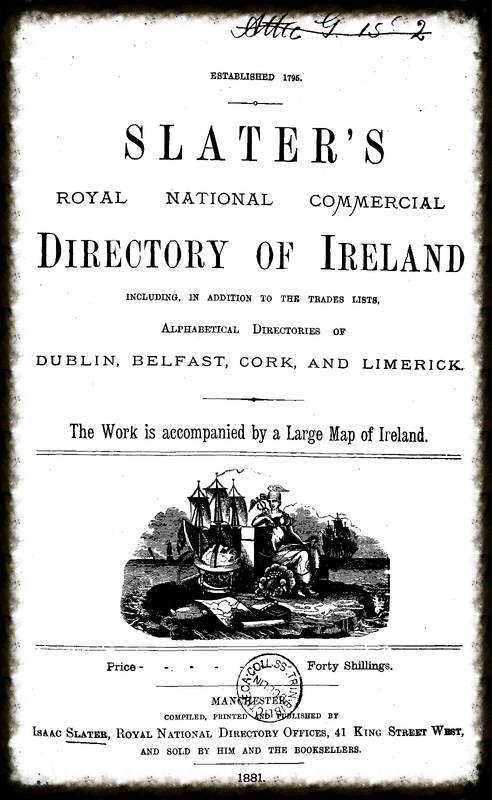 Organised by Province, and then town, it lists all the principal office holders, gentry, professionals, trades, hotels, schools, public institutions, churches, and even pubs for each town in Ireland. 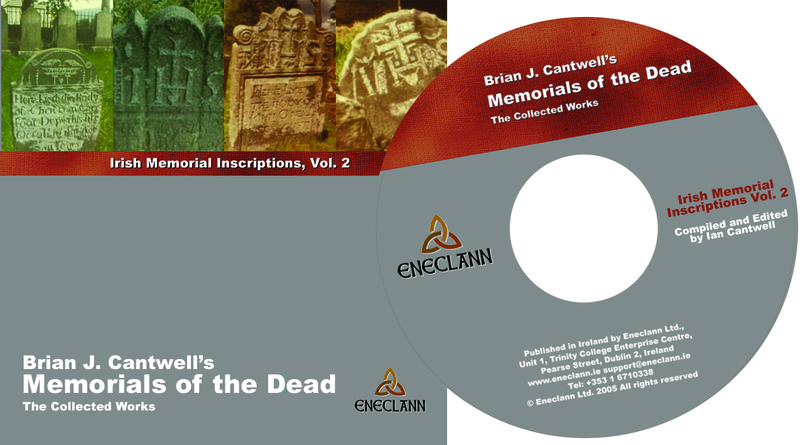 For the first time, the works of one of Ireland’s most eminent researchers of gravestone inscriptions have been collected into one publication,Read more about these memorials here. head over to the website now and enjoy our sale. If you purchase a download title and don’t receive your download link immediately, don’t worry – this is a busy time of year for us but we’ll be on the case when your order is confirmed, and you should receive your link within a few hours or so. *Special offer applies at the checkout on all titles but not on already discounted publications. **While the 50 per cent off offer applies to the vast majority of our publications. This entry was posted in News and tagged cheap publications, directories, Eneclann, Eneclann Sale, Eneclann sale 2015, half price sale, half prince publications, January sales, publications, registers, research, Sale 2015, Sale at Eneclann, Winter sale.